Search engine optimization (SEO) is the process of improving the visibility of a website/webpage in unpaid search engine’s results. It helps in getting traffic from search engines such as Google, Yahoo, Bing, and Yandex. There are different search engines on the web but the most important one is Google. So in this tutorial, we will focus mostly on Etsy search optimization and Google search optimization. I have compiled a list of the best SEO tools to supercharge your Etsy SEO. You can use these tools to research popular trends, keywords, and tags. Etsy Search: Use it to find related key search terms which are popular on Etsy. Google Keyword Planner: Use this tool to find highly searched keywords. Google Search: Search on your competitors using search egine. Keyword research tools: If you need more keyword research tools then check out this post. Competition research tools: Gather intelligence on your competitors using these tools. When you are creating a store on Etsy, these SEO tips will help you boost your traffic and sales. A picture is worth a thousand words. Hence, it is important to have the highest quality images of your products. If photography is not your strong suit then I would highly recommend that you hire a professional photographer. You should compress images before uploading them to your Etsy store. Compressed images will load faster on user’s end. It will improve page load speed and SEO of your store. Your product should be something unique, if it is not, it is your job to make it unique to stand out from the rest of the competition. It is the basic step to attracting customers. If you don’t have an idea how to name and promote your product then you can use Etsy search to find other sellers. Search your product competition and learn what they are doing, and offer something improved and unique. To improve your Etsy Store SEO, the first step is to locate the most ideal keywords to portray your shop and your product items. Have a similar understanding as a customer: what words would you search when looking for your items or shop? You can research keywords using Google Keyword Planner, Etsy search, and Google search for free. 4. What Should be Your Shop Title? Your shop title is a touch of content that shows up under your shop name on your shop landing page. It can be up to 55 characters. 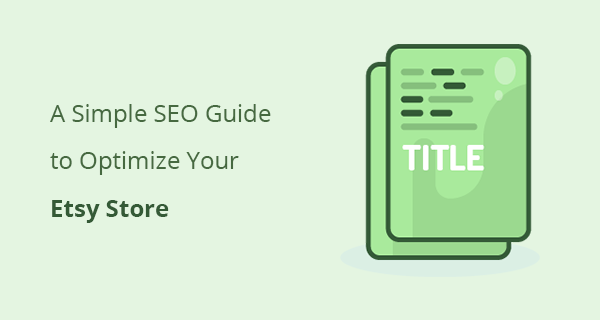 Your shop title will likewise turn into the “page title” for your shop page. Describe your shop and the things you offer. A few merchants make a slogan or motto. Likewise, consider including your full name or your business name in your shop title if potential clients are probably going to scan for you that way. Shop sections can help boost your shop SEO to next level. Each section on Etsy has a different page, where you can add the page title to the section name. Quickly depict the sort of things in every particular area. Utilizing “classification style” names for your segments that incorporate your catchphrases not just helps a customer explore inside your shop, additionally can help customers discover you in web indexes. Use keywords in the shop item title; make sure to include your keyword at the very beginning of the title. It is one of the crucial SEO factors and you should not ignore it. Make sure to also make it readable to your users so they can understand what exactly your product and how it differs from others. Also, it to increase Click Through Rate of your listings use power words. They are proven to improve CTR. The Meta description is the text that shows up in search results below the page title when someone found your product item in search engines. A meta description is a factor that people are ignoring as Google add random text in place of Meta descriptions unless Meta description is written well. However, it still matters a lot and will help you rank better and also increase CTR. you should use it to describe your product and its features. Make sure to include interesting and unique selling points of your product in Meta description. Last but not least, to improve your sales you must promote your business online. There are a lot of ways you can promote your Etsy store. Create social media pages such as Facebook, Twitter, Instagram, Pinterest, and YouTube. Start sharing your products on those platforms. Set up a sales funnel and create amazing landing pages. Improve traffic on your website from referral traffic. When you promote your products or store on other platforms it will bring in extra traffic. 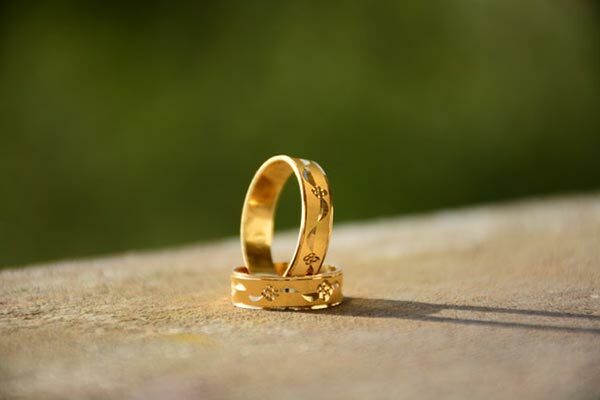 Search engines love to see more backlinks of your products and brand. It will help your products rank better in the search. Improve your sales. Getting more traffic on your store from different sources will improve your sales. I hope you found these SEO tips useful to optimize your Etsy store. Read this Amazon SEO guide If you have a presence on Amazon. If you need help with the SEO or have a question, please feel free to send me a message.